As the end of the school year quickly approaches, we are happy to announce three open scholarship opportunities administered through the DeKalb County Community Foundation. To date, over 70 scholarship funds exist at the Community Foundation. The majority of these funds are administered by local high schools, but the following scholarships are available online at dekalbccf.org/scholarships. The Palmer Family Music Education Scholarship supports DeKalb County high school graduates pursuing a career in music or music education. Applications are due by 11:59 p.m. March 31, 2019. The Palmer Family Music Scholarship Fund exists in memory of Dee Palmer, director of the DeKalb Municipal Band since 1948, and his family for their musical contributions to DeKalb County. The Harold P. Wells Scholarship provides support for educational expenses including college tuition, fire courses, educational short courses, conferences and summer camps. Eligible applicants are DeKalb Fire Department employees, family members of employees, and graduates of the Kishwaukee Education Consortium’s Fire Science Program. Applications are due by 11:59 p.m. March 31, 2019. Honoring the late Harold P. Wells, this scholarship exists as a way to give back to those who serve our community in the fire services division. The CHS Elburn Scholarship is available for high school graduates and current undergraduate students at an accredited college or university. Applicants must be a family member of an eligible CHS Elburn customer or a family member of a CHS Elburn employee. Applications are due by 11:59 p.m. March 31, 2019. The CHS Elburn Scholarship exists as a lasting memory to the legacy of the Elburn Cooperative and supports the communities that strengthen the cooperative. 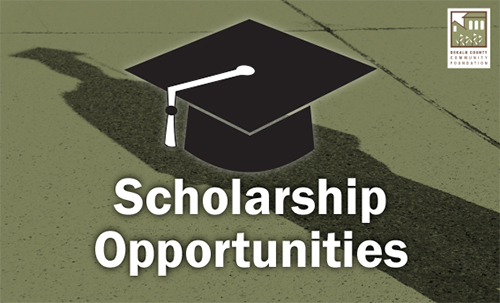 For questions or additional information on scholarships, please contact Grants Director Tiffany McQueen Lewis at 815-748-5383 or tiffany@dekalbccf.org.